Pink Floyd will celebrate the 25th anniversary of 1994’s “The Division Bell” this year with the release of a limited-edition 2LP blue vinyl package. Due June 7, the 2019 reissue – presented on translucent blue vinyl to echo its original 1994 limited blue vinyl release – delivers the 2014 remaster by James Guthrie, Joel Plante and Doug Sax at The Mastering Lab from the original analogue tapes. 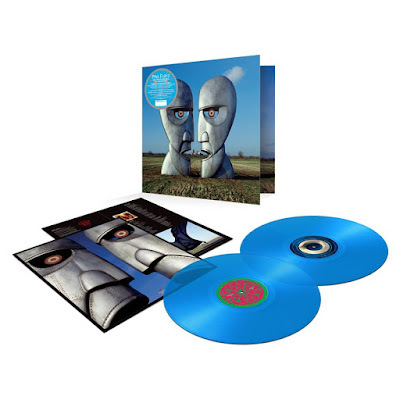 As with the 2014 vinyl reissue, the 2LP set contains all full-length versions of the tracks, as opposed to the original 1994 LP, which featured some edited tracks in order to fit the album on one LP. "The Division Bell" sleeve artwork, created by long-time Pink Floyd collaborator, the late Storm Thorgerson – features two huge metal heads in profile talking to each other and, in turn, creating a third forward-facing head. Two three-metre tall metal head sculptures by John Robertson, weighing 1500 kilogrammes, were placed in a field in Cambridgeshire and photographed across a two-week period in all weather conditions. "It was intended that the viewer should not see both at the same time,” explained Thorgerson. “One saw the single face, or the two profiles which meant that they were then communicating with the image". The artwork was designed to relate directly to the album's core themes of communication, talking through problems and making choices.